Painted on the footcase: ΗΡΑΚΛΕΙΔΗΣΘΕΡΜΟΥ "Herakleides, the son of [the lady] Thermouthis (or Thermoutharion)" (after Corcoran and Svoboda 2010, with further discussion). The second portion of the text had been undecipherable until viewed under infra-red light. 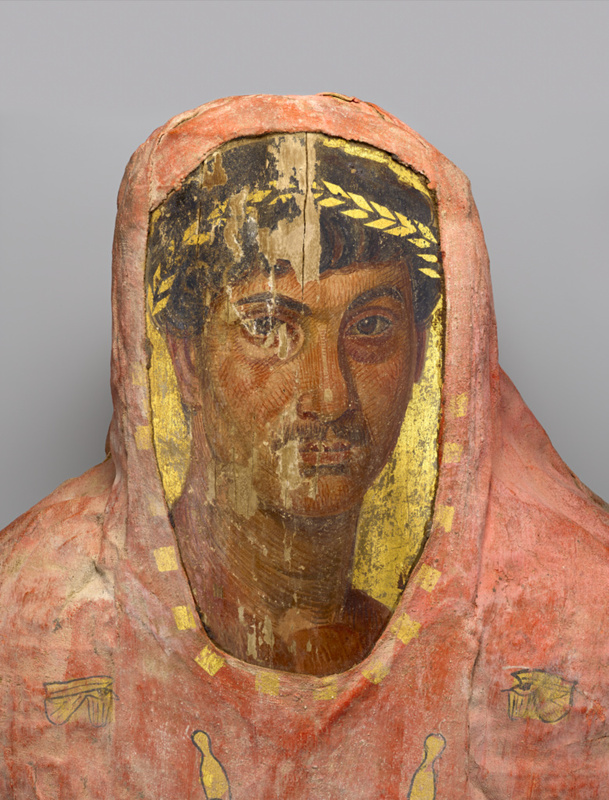 This Romano-Egyptian mummy combines the millennia-old Egyptian tradition of mummification of the dead with a strong Greek heritage handed down through the Ptolemaic dynasty and the Roman tradition of individualized portraiture. The blending of these three socio-cultural traditions was characteristic of the ethnic and religious diversity of the population of provincial Roman Egypt during this period. The painted mummy portrait depicts a young man with a light mustache and loose, curly hair. His name, Herakleides, has been written above his toes facing up towards his face. Some areas of the portrait – such as the background, the wreath, and the decorative square surrounding the panel –have been enhanced with gilding, added after it was bound in the linen wrappings. 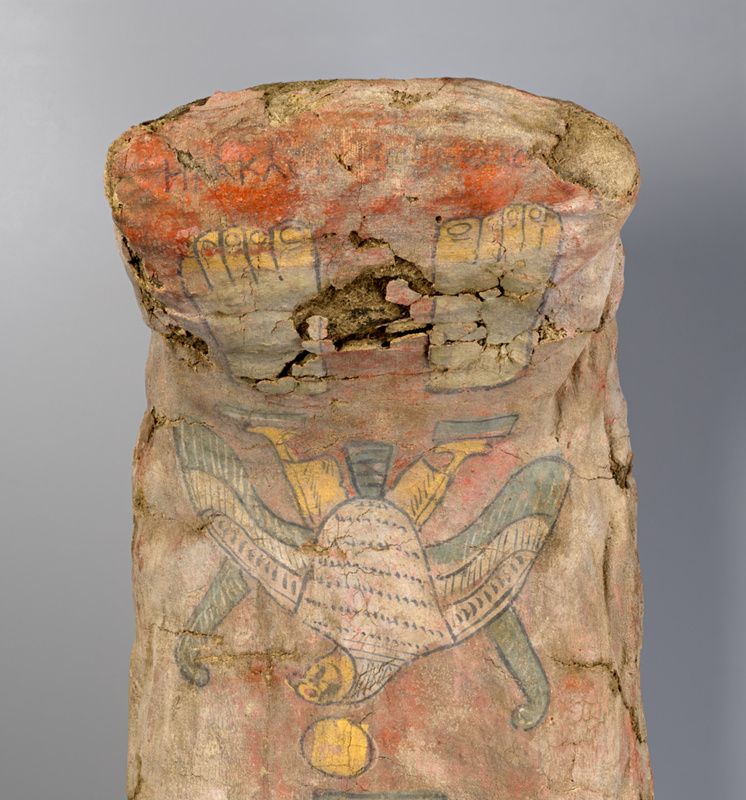 Belonging to a small group of mummies wrapped in shrouds painted red (a color associated with life and regeneration in Egyptian religion), this one is decorated along the length of the body with religious figures connected with Egyptian funerary rites. They include Osiris, Horus, and a winged goddess combining the identities of Nut, Nephthys, and Isis. 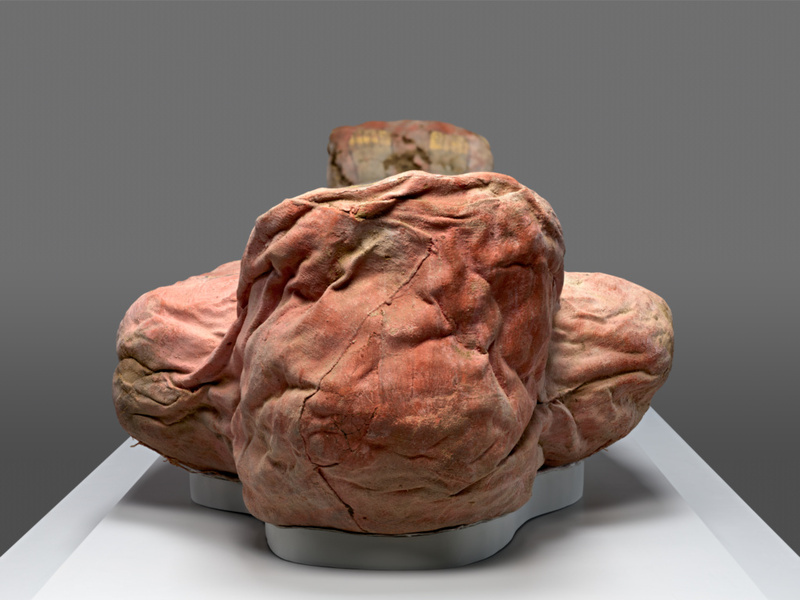 One depicts an ibis; a CAT scan has revealed a mummified ibis inside the mummy wrappings, suggesting that Herakleides may have been associated with the Egyptian god Thoth, and therefore possibly a priest, scribe or worshipper. Private Collection, by exchange to the J. Paul Getty Museum, 1991. Riggs, Christina. "Art and Identity in Roman Egypt." In Beyond the Nile: Egypt and the Classical World, exh. cat. Jeffrey Spier et al., eds. (Los Angeles: J. Paul Getty Museum, 2018), pp. 219, 221, no. 145. "Acquisitions/1991." The J. Paul Getty Museum Journal 20 (1992), p. 147, no. 28. Doxiadis, Euphrosyne. The Mysterious Fayum Portraits: Faces from Ancient Egypt (London: Thames and Hudson, 1995), p. 158, ill. no. 101; comments pp. 98, 218. Parlasca, Klaus and Hans G. Frenz.. Ritratti di Mummie. Repertorio d'arte dell'Egitto greco-romano (A. Adriani, ed). 2 ser. Vol. IV. (Roma : "L'Erma" di Bretschneider, 2003), p. 50, no. 719, pl. 164,1. The J. Paul Getty Museum Handbook of the Collections. 7th ed. (Los Angeles: J. Paul Getty Museum, 2007), p. 53, ill. The J. Paul Getty Museum Handbook of the Antiquities Collection. Rev. ed. (Los Angeles: J. Paul Getty Museum, 2010), p. 226. Corcoran, Lorelei H., and Marie Svoboda. 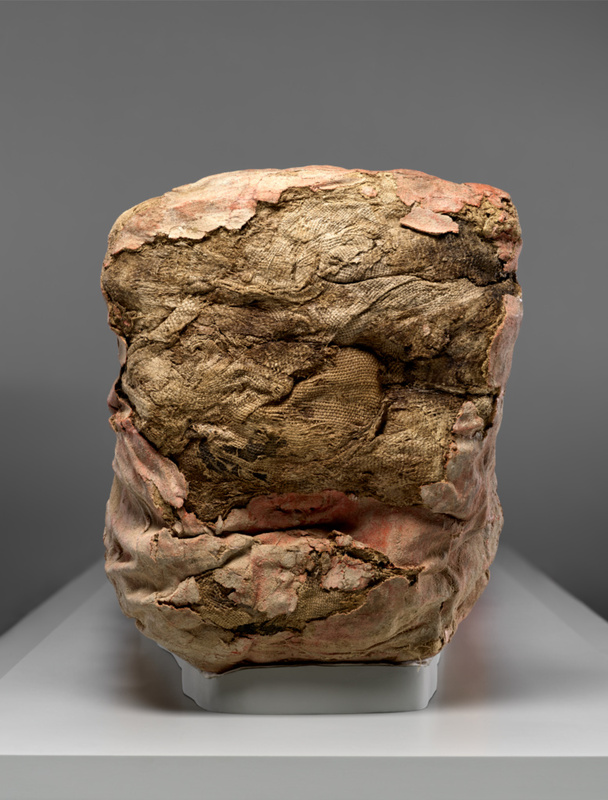 Herakleides: A Portrait Mummy from Roman Egypt (Los Angeles: J. Paul Getty Museum, 2010). Bowers, Michael C. Forensic Dental Evidence (Waltham, MA: Academic Press, 2011), p. 3, fig. 1.1. Green, Christopher, and Jens M. Daehner. Modern Antiquity: Picasso, de Chirico, Leger, and Picabia (Los Angeles: J. Paul Getty Museum, 2011), p. 49, n. 14. Spier, Jeffrey, et al., eds. Beyond the Nile: Egypt and the Classical World, exh. cat. (Los Angeles: J. Paul Getty Museum, 2018), pp. x, 241-3, no. 145, ill., entry by Sara E. Cole.